A lot less expensive than any other dry bags on the market. Designed for backpacking and adventure travel. Made from lightweight 70 denier nylon. Coated with blend of PVC & PU Fully seam sealed. 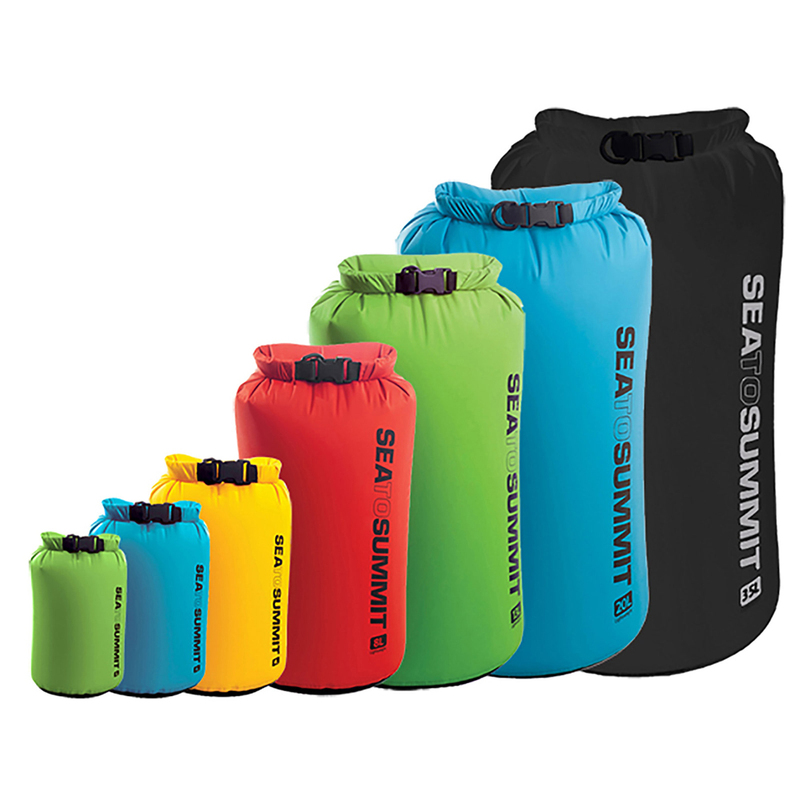 #STS161 - Dry Sack - 1 Liter 6"(flat) x 9"
#STS162 - Dry Sack - 2 Liter 8"(flat) x 12"
#STS163 - Dry Sack - 4 Liter 9"(flat) x 15"
#STS164 - Dry Sack - 8 Liter 6.5" x 18"
#STS165 - Dry Sack - 13 Liter 8.5" x 21"
#STS166 - Dry Sack - 20 Liter 10" x 24"
#STS167 - Dry Sack - 35 Liter 12" x 27"